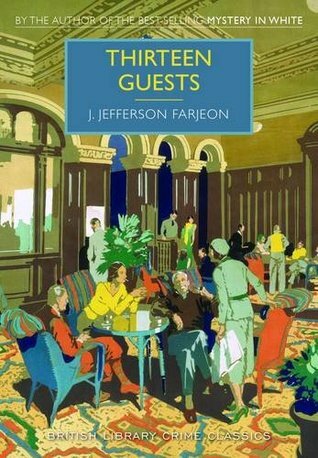 I felt like reading another British Library Crime Classic, so I picked up Thirteen Guests. 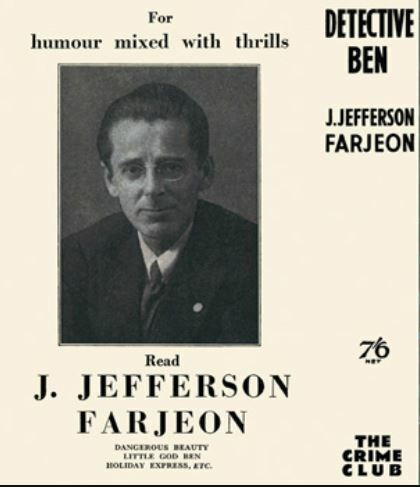 J. Jefferson Farjeon’s Mystery in White is the book that kicked off this series of reissues. Not all of these books have worked for me, but that one certainly did. 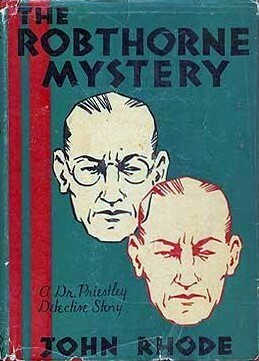 If not quite as gratifying as Mystery in White, Thirteen Guests was nevertheless an enjoyable read. 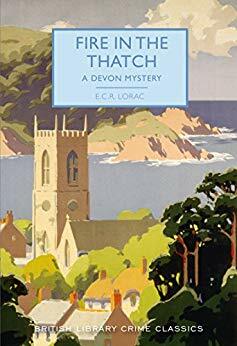 Luckily, there are more titles available by Farjeon. I intend to feast on all of them. 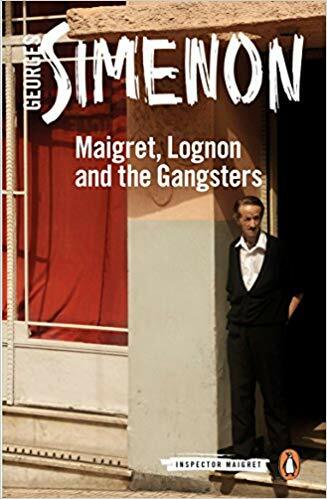 I wanted to read Maigret, Lognon and the Gangsters because I was intrigued by a character in the Maigret series that I first encountered in Maigret and the Dead Girl. 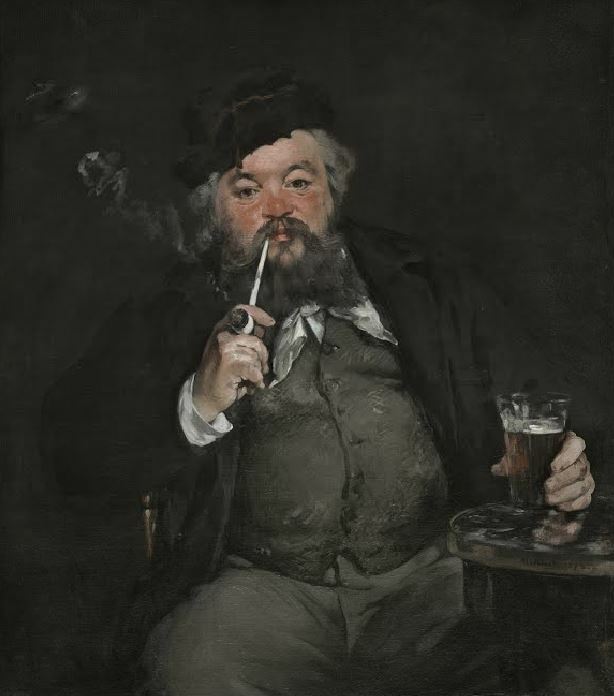 That character is the above named Lognon, commonly referred to be his police colleagues as Inspector Hard-Done-By. Lognon is in fact an excellent investigator, but luck always goes against him. He wants more than anything to work alongside Maigret and his team at their headquarters in 36 Quai des Orfevres. 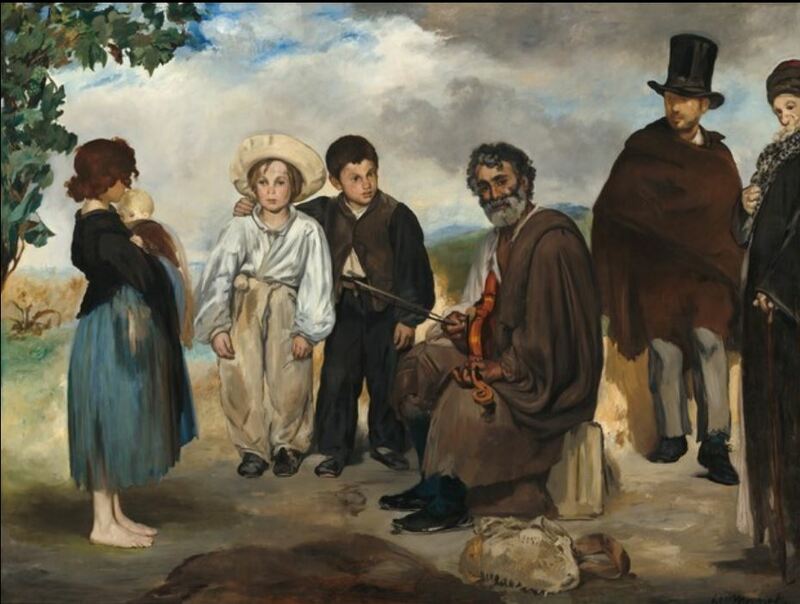 But inevitably, his performance falls short of that dream. 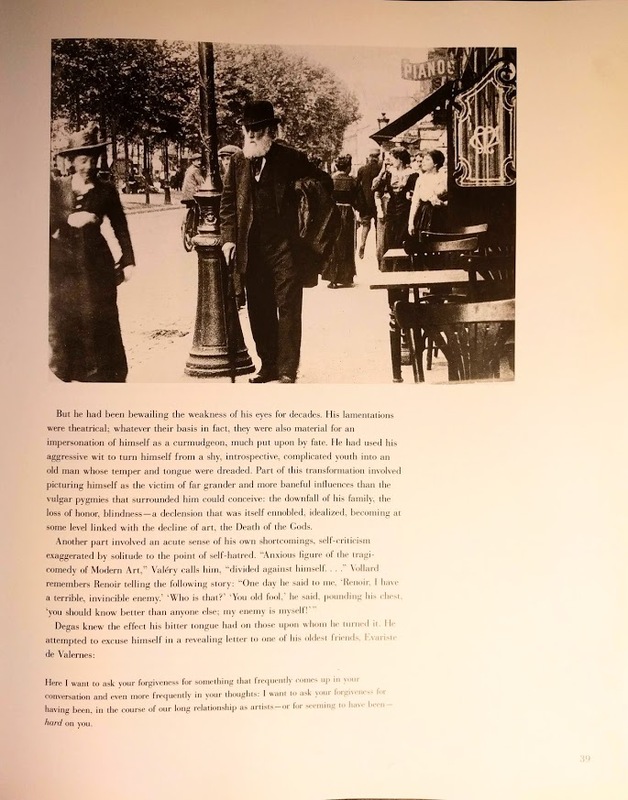 And so he trudges home to his invalid wife – a woman rather hard done by herself, I’d say – and their cramped little apartment, with very little to show for his considerable efforts. This includes, in the course of dogged pursuit of criminals, taking a beating that puts him in the hospital. I recommend both Maigret novels, but then I’m somewhat indiscriminate in my affection for this series. 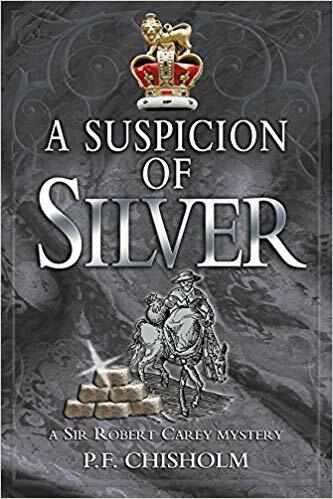 The Silver in the title refers to ore which is being illegally gotten from a mining operation overseen by German emigres, experts in the process. Very interesting, and historically accurate as well. 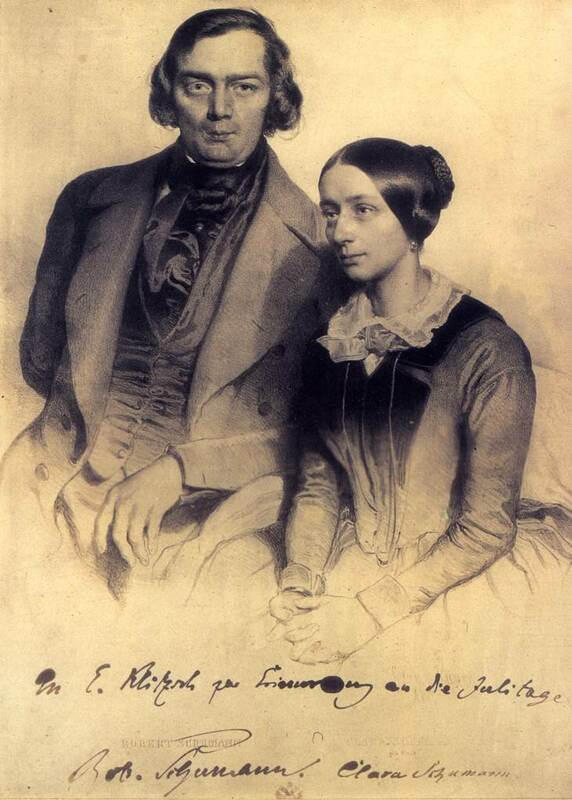 As for Sir Robert, he’s his usual resourceful, irreverent self, and still pining for his beloved – and married, though lovelessly – Lady Elizabeth Widdrington. From 1593, we go back to 1549 and the tumult and disorder of the reign of Edward VI. Not really Edward’s fault: he was twelve years old at the time. His reign was being overseen by a council of regents led first by his uncle Edward Seymour, 1st Duke of Somerset, and subsequently by John Dudley, 1st Earl of Warwick, who in 1551 became Duke of Northumberland. Shardlake’s investigation takes him Norfolk, in the East of England, just as a peasant revolt is heating up. Soon Kett’s Rebellion has burst onto the scene. Shardlake becomes legal advisor to its leader Robert Kett, partly in order to save his own skin and that of his assistants, as the politically and religiously fueled mayhem gains momentum. His investigation is forced, at least for the time being, into abeyance. 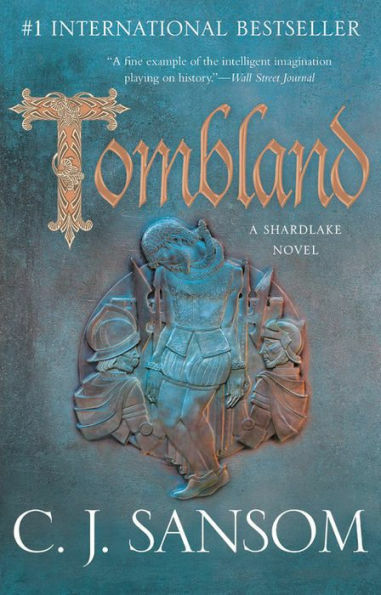 Where Shardlake goes, so do we. 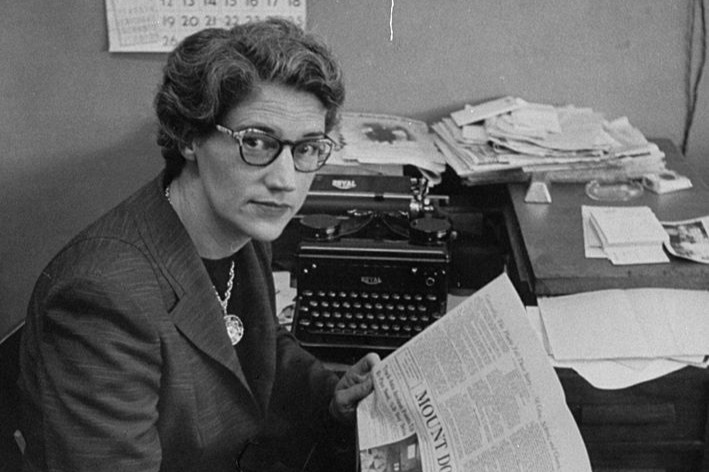 Sansom has the trick of writing an enthralling narrative. Like Hilary Mantel, he produces densely textured historical novels that absorb their readers in another time. He has a PhD in history and it shows — in a good way. He is scrupulous about distinguishing between fact and fiction. Tombland is some eight hundred pages long. 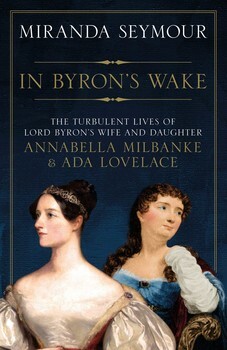 It provides the reader with a fully immersive experience in the turbulence of mid-sixteenth century England. 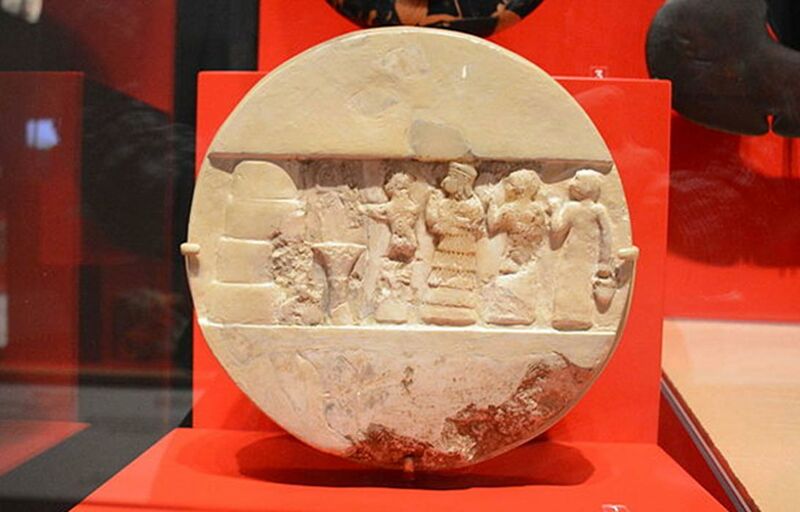 Sansom has appended an afterward of some fifty or sixty pages of historical explication. So: a commitment, for sure, but well worth it, in my view. 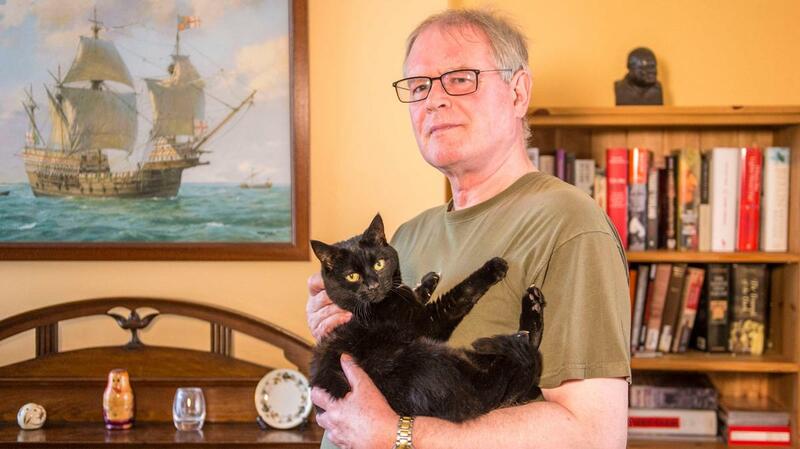 Michael Connelly has reached a point in his career as a writer of police procedurals where he’s hitting them out of the park, one after another. 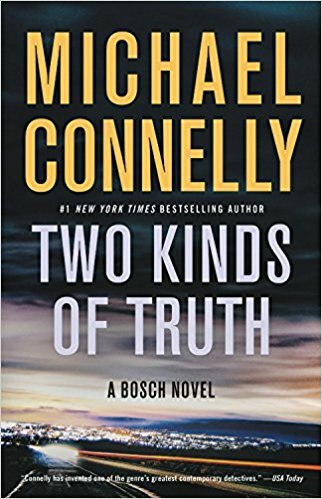 In the beginning, there was Harry Bosch; then came Harry’s half brother and lawyer Mickey Haller. Now they’re appearing together. Then came Renee Ballard. 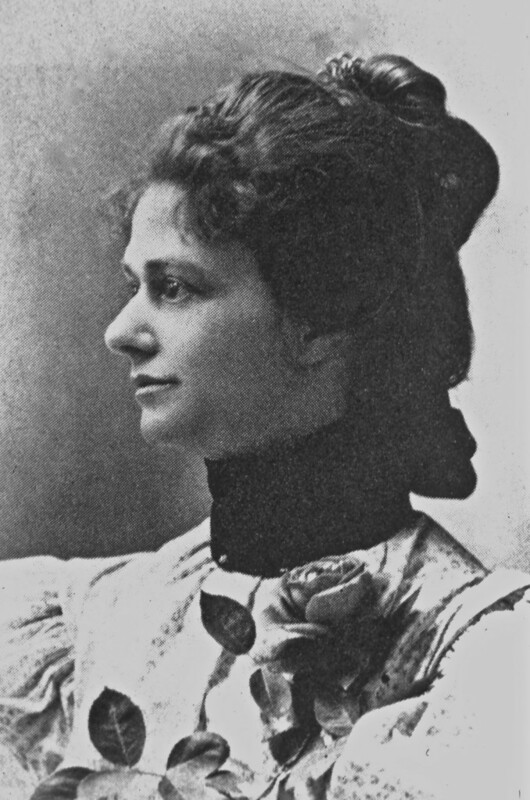 She debuted in the excellent novel The Late Show. Next, she appears with Harry in Dark Sacred Night. And it all works – beautifully! Lately, I’ve been listening to these books on CD. They’re usually read by Titus Welliver, who plays Bosch on the Amazon Prime TV series. 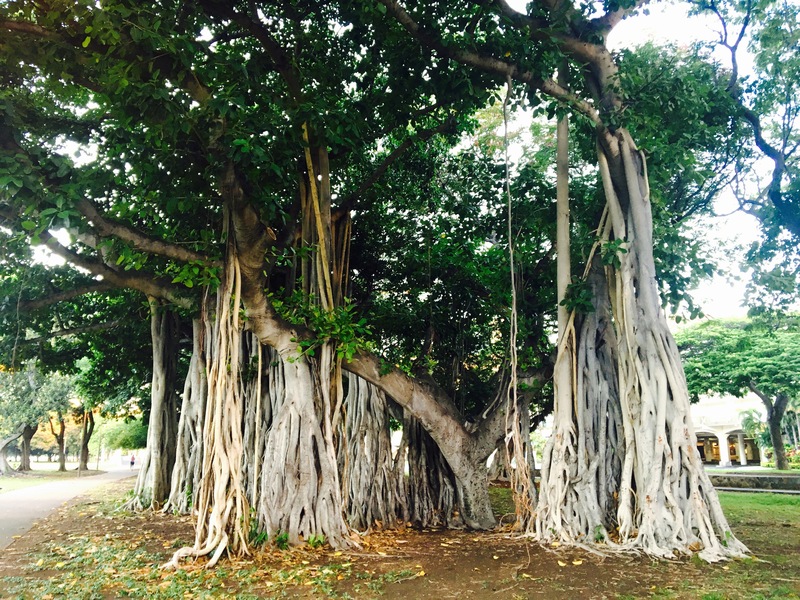 Most recently, I listened to Two Kinds of Truth. 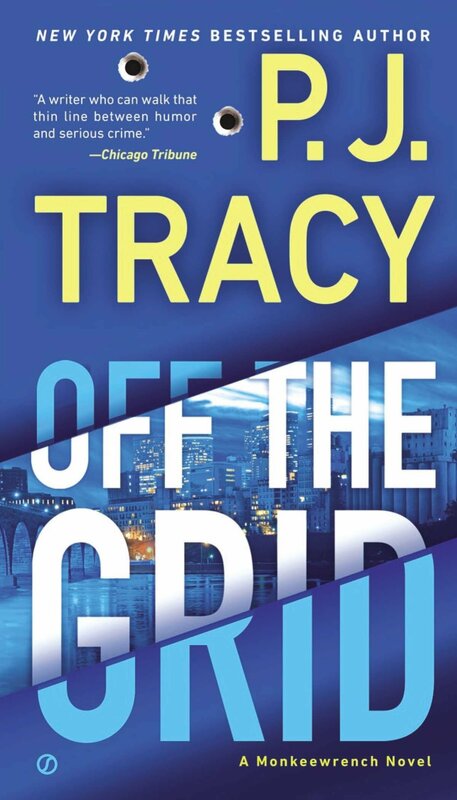 Among other things – there’s always a lot going on in these books – Harry undertakes an undercover assignment where he’s embedded in an operation run by drug dealers who enlist addicts to score prescriptions for opioids and other saleable drugs at so-called “pill mills.” Vivid, true to life, and very scary! What’s up next for me in this, my favorite genre? I’m currently reading Overture to Death, the next Usual Suspects selection. 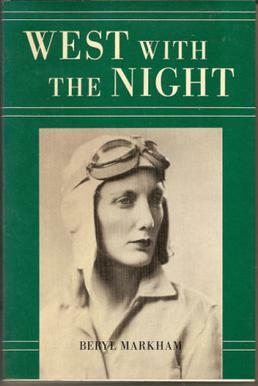 The author is Ngaio Marsh, whom I greatly admire. Then I’m very much looking forward to new entries in three of my best-loved series: Hitmen I Have Known, a Harpur and Isles (Yes!) mystery by Bill James; Cold Wrath by Peter Turnbull (Hennessey and Yellich are back, to my delight.) and Rough Music, the fifth Cragg and Fidelis historical mystery by Robin Blake. Oh, and there’s a love interest for Sam. I just finished the second book, A Necessary Evil – also excellent – and all I have to say is, Make your wishes known, Sam, for heaven’s sake! Remember: He who hesitates…. Meanwhile, tensions between the Indians and their British overlords are portrayed with blunt realism. Even back then – undoubtedly before then – Indians were agitating for independence. Reading about the attitude of the British toward the native population, it’s no wonder. Enough to make you seethe with indignation, on their behalf. 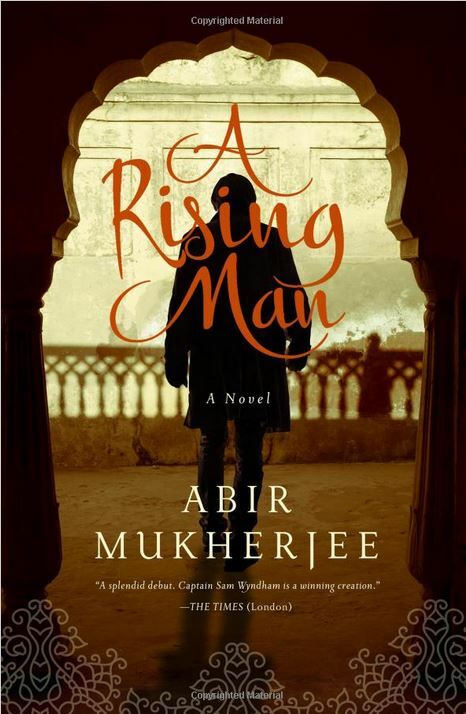 We left him and followed Sayeed Ali along a corridor whose walls were lined with murals that wouldn’t have looked out of place in the Kama Sutra, and into a cloistered courtyard dominated by a huge banyan tree….We walked through another arched doorway into a stairwell, climbing two flights before entering a well-apportioned sunlit apartment. The room was divided by a carved teak screen peppered with small holes. In front of the screen, the marble floor was covered with a black and gold Persian rug, strewn with silk cushions. There are those who maintain that this sort of meticulous description does not belong in crime fiction. I for one love it. A Rising Man won the 2017 Historical Dagger Award, and was a finalist for the Gold Dagger, the Barry for Best First Mystery, the Edgar for Best Mystery, and the Macavity Award for Best Historical Mystery. 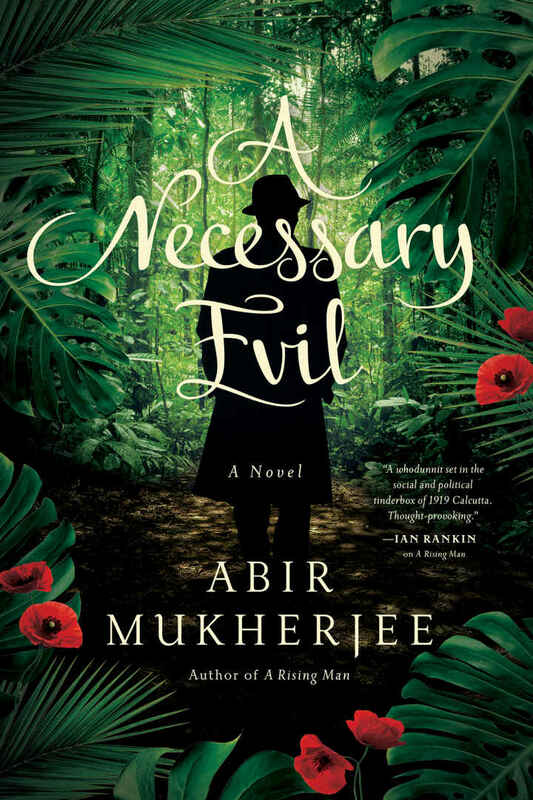 A Necessary Evil was a Gold Dagger finalist ,as well as a finalist for the Historical Dagger and for the Barry Award for Best Mystery. The third entry in the series, Smoke and Ashes, is already out. Then it was off to Italy, or more specifically, to Venice. 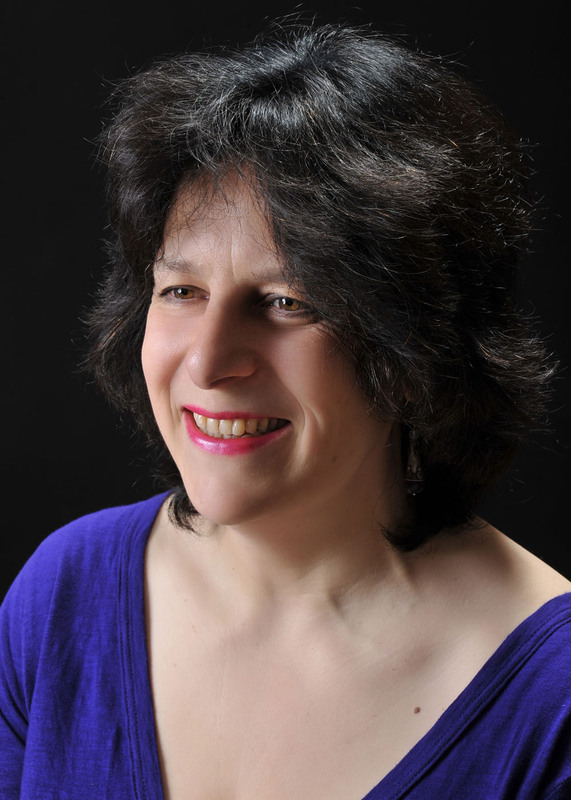 Actually, the way that Donna Leon writes about La Serenissima, it seems less like a part of Italy and more like a separate principality, which, of course, it once was…. 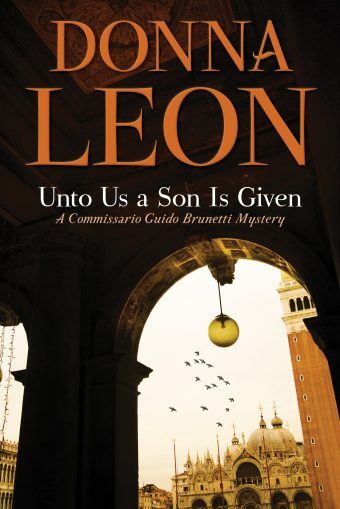 Unto Us a Son Is Given is, by my count, the 28th entry in Donna Leon’s Guido Brunetti series. Of these, I’ve read at least twenty. The Commissario and I are old friends; likewise, his wife Paola and children Raffi and Chiara. The latter has become an ardent conservationist; Brunetti is proud of her and her new found commitment to the cause. The Brunetti family members are all getting older but at a blessedly slow rate. Reading each new book in this wonderful series gives me the chance to spend time with them in their magical dwelling place. The plot – it’s not much of a mystery, really – concerns one Gonzalo Rodriguez de Tejada. This elderly gentleman is a wealthy friend of Brunetti’s father-in-law, Count Orazio Falier. Gonzalo is openly gay and, at this late stage of his life, is preparing to adopt a young man as his son. 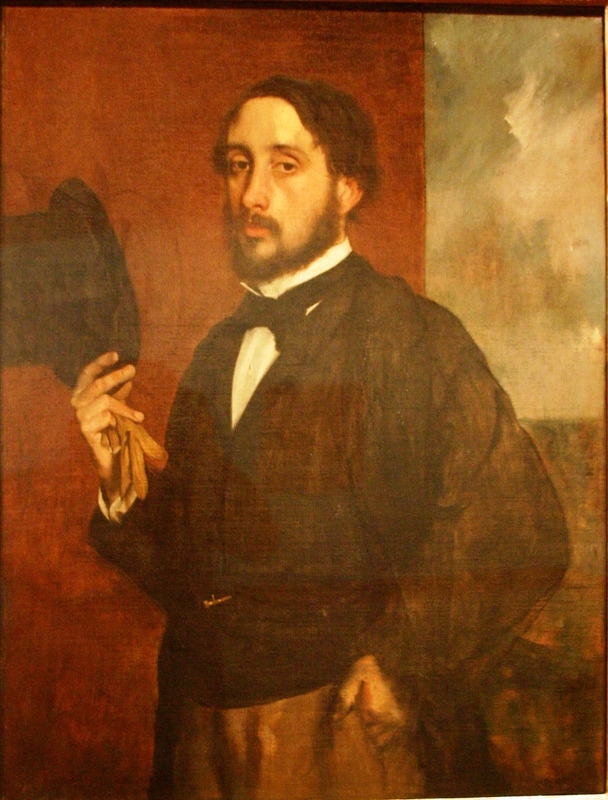 Gonzalo has no other immediate family, but he does have several siblings, including a sister to whom he is quite close. 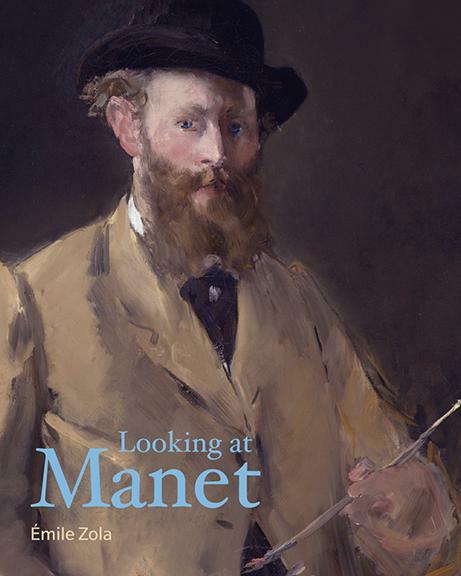 At any rate, Falier has his doubts about this prospective adoptee and asks Brunetti to see what he can discover about him. 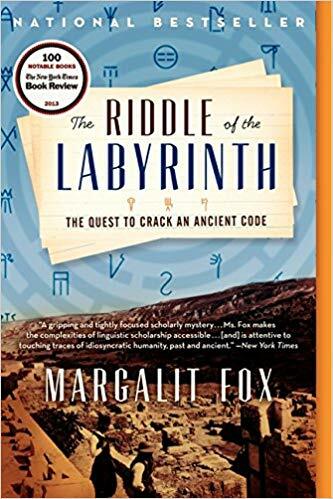 This novel has an unusual structure for a mystery. Progress in the investigation is slow and methodical, yielding very few surprises. Then, about three quarters of the way through the book, there’s a murder. It’s sudden, and deeply shocking. 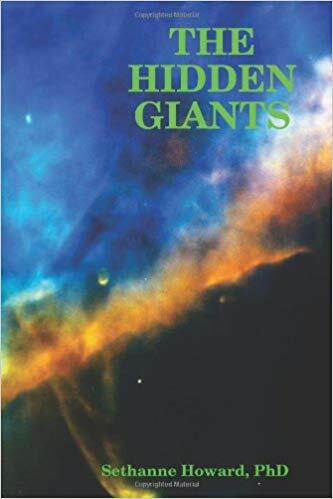 I really liked this book – well, I like every book in this series. Donna Leon is one of my favorite authors. She never disappoints – at least, that’s the case where this reader is concerned. I’ve had a strange experience, reading this book. It begins, of necessity, with recounting of the circumstances that led to the murder of Andrew Borden and his wife Abby. 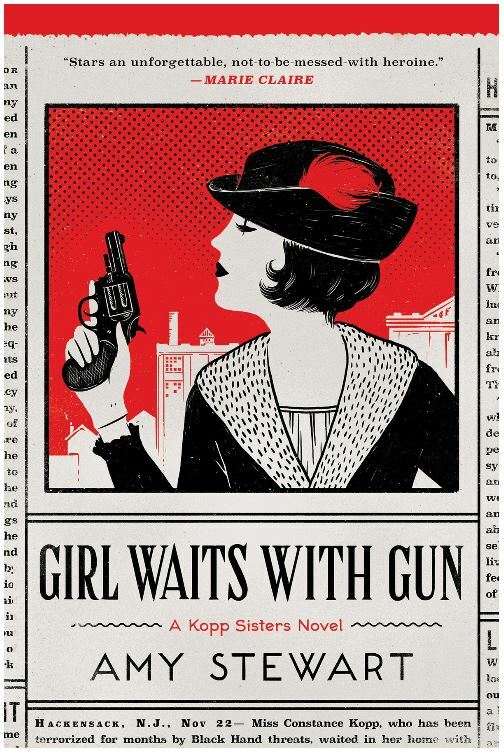 Immersed as I’ve been recently in this story, I didn’t discern anything new in Cara Robertson retelling. This, despite the fact that every time I revisit this scenario, its mixture of strangeness and horror grabs hold with great force. I read on. 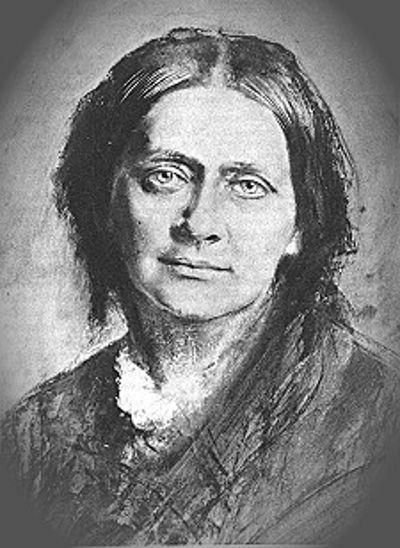 The chief body of the text concerns the trial. I found that the minute retelling of the witness testimony began to drag. I was having to push myself to keep going. 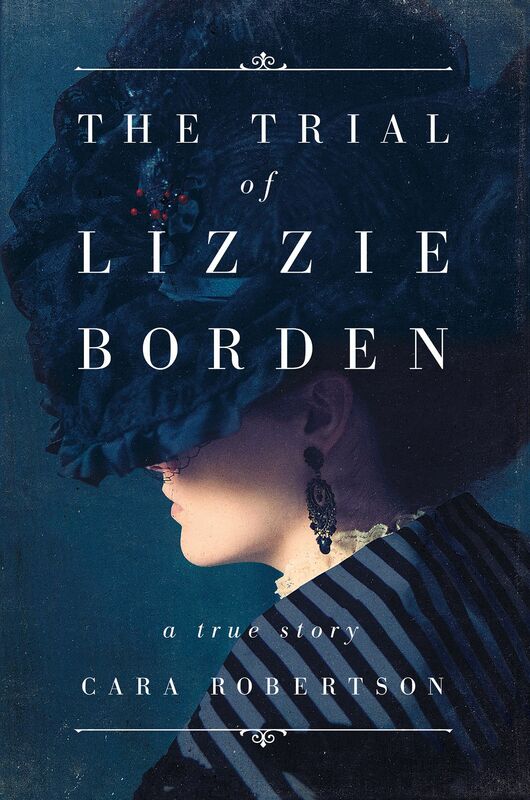 One note that was sounded throughout the proceedings concerned the demeanor of the defendant: “Throughout the trial, Lizzie Borden remained a sphinxlike cipher.” Her lack of responsiveness puzzled all who saw her. Where were the tears, where the shuddering? I had the sense that some among the observers went from puzzlement to exasperation, even to anger, in the way that our feelings sometimes evolve when we simply cannot figure something out. At any rate, the trial dragged on. At one point, I was close to throwing in the towel. But then the unexpected occurred, in the form of the closing arguments. George Robinson for the defense; Hosea Knowlton for the prosecution. For me, the pace of the narrative changed suddenly. The eloquence of these two attorneys held me spellbound. I fairly raced through to the conclusion. Except there was no conclusion. There I was, eagerly flipping the pages, ready for more, when I found that I’d reached the Acknowledgements. From the storehouse of her vast and meticulous research, Cara Robertson had told all she had to tell. 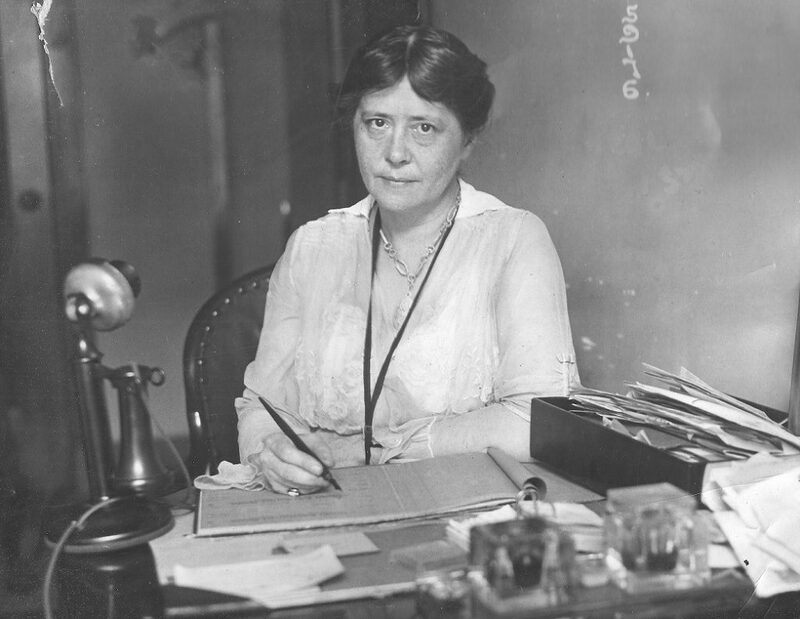 It was a neat rhetorical sleight of hand, considering that Borden was on trial for having created her own orphanhood. As is by now well known, George Robinson and his defense team won the day. When the ‘Not Guilty’ verdict was read out, the courtroom erupted in shouts of rejoicing, which were in turn taken up by the crowd outside the courthouse building. Lizzie finally let her feelings show. She was thrilled with her exoneration and couldn’t express sufficient gratitude to her attorneys, the jurors, and various other friends and supporters. The good feeling did not last…. Lizzie and Emma could have gone anywhere else to live, at that point. 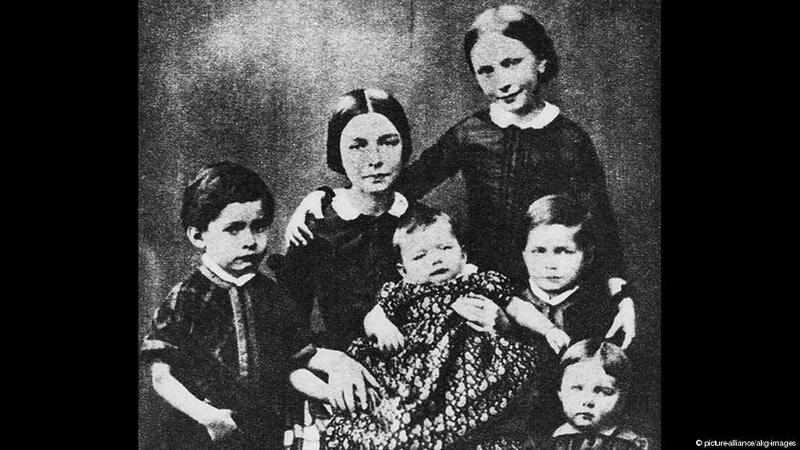 But they elected to remain in Fall River – although not in the same house, the seemingly accursed domicile on Second Street. 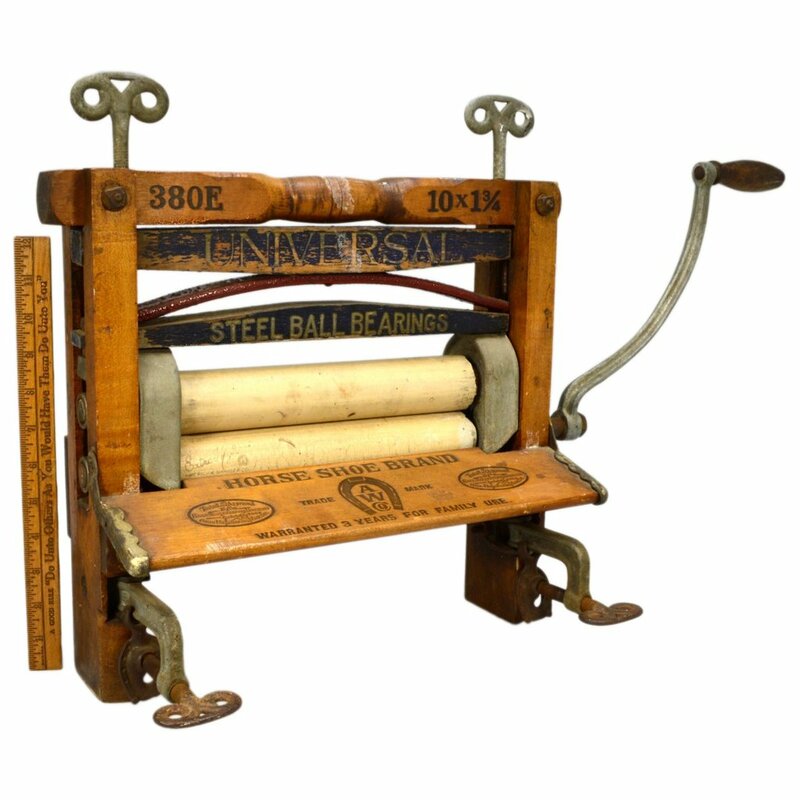 It was now 1893. As time went on, relations between the sisters began to deteriorate. 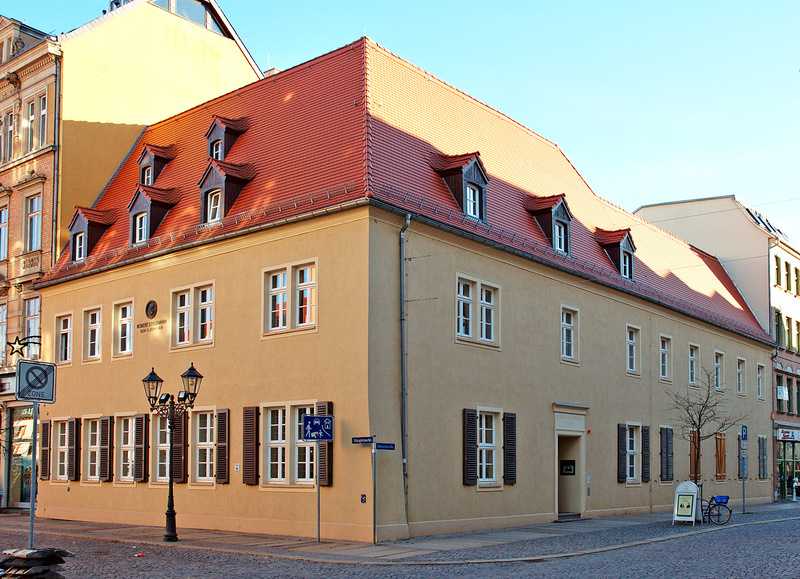 In 1905, Emma moved out of their house. The sisters never spoke again. 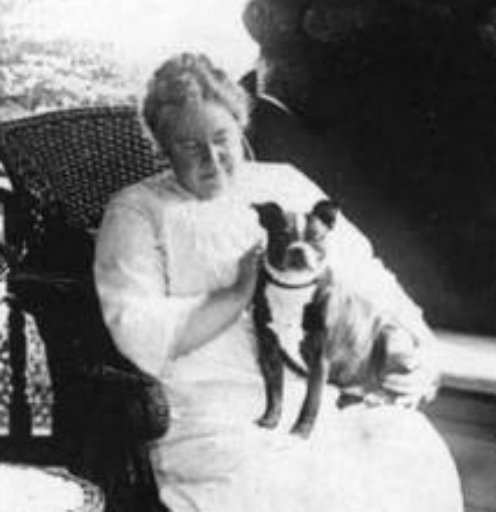 Lizzie Borden herself never publicly commented about the case that altered the course of her otherwise drab life. 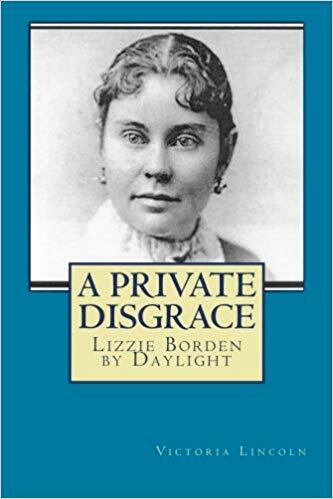 Like the town that bred her and then ostracized her, as she aged, Lizzie Borden turned inward, reclusive, and, above all, silent. 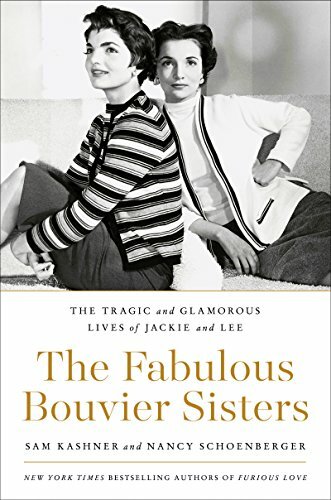 As I was reading – and in some part laboring to get through this book, I kept saying to myself, okay, this is it – this is the last book I read on the subject of the Borden murders. Well, at this point, all I can say to myself in response to that assertion is: Hah!! This is it – I promise! What can I say, except that I pretty much read my way through last year, not doing much else, especially the latter half. 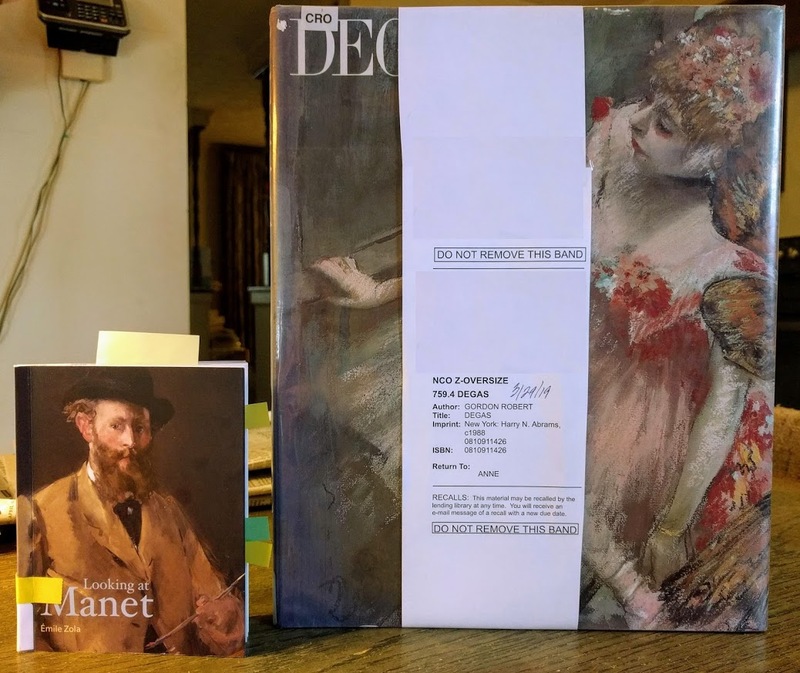 And before I get started, I want to thank members of the Usual Suspects Mystery Discussion group for some of the best reading I had in this genre in 2018. If it’s marked with an asterisk, that means it was a Suspects selection. *Farewell My Lovely (1940) by Raymond Chandler, and Only To Sleep (2018) by Lawrence Osborne. 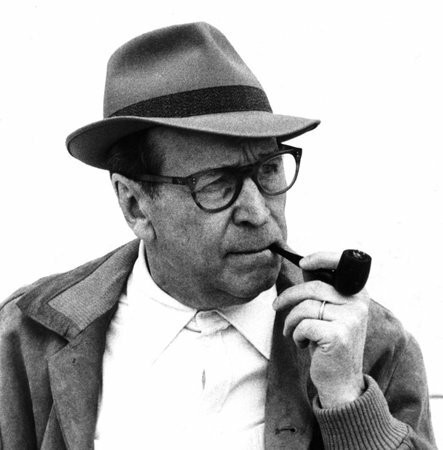 These two naturally go together, having as they do the same protagonist; namely, Philip Marlowe. 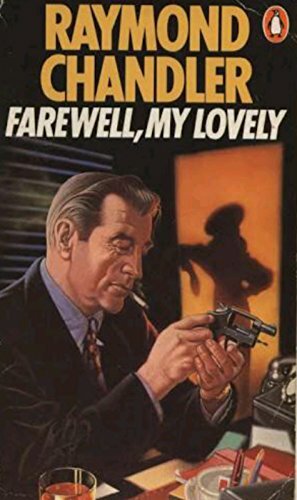 Farewell My Lovely was a welcome reminder of the brilliance of Chandler; Only To Sleep was a cunning resurrection, as it were, of Philip Marlowe, affording him one last opportunity to engage in the world of crime solving. Osborne’s novel made quite a few ‘Best of 2018’ lists, which I was glad to see. 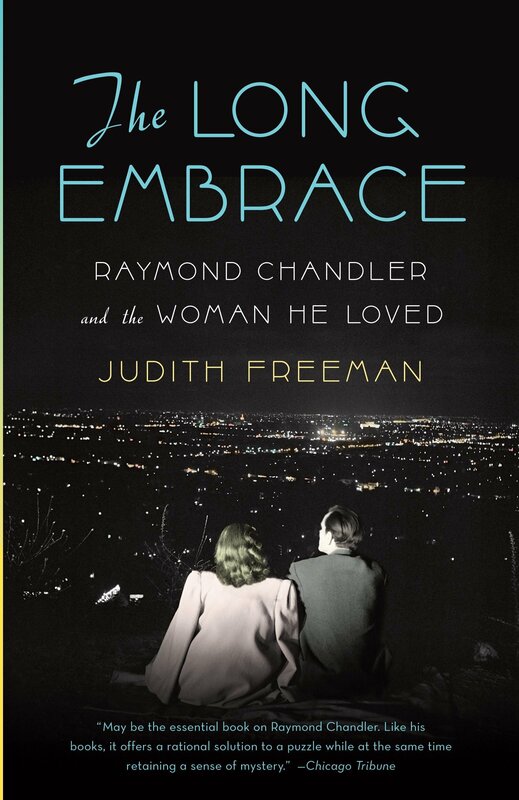 (My extreme enjoyment of Farewell My Lovely prompted me to read The Long Embrace by Judith Freeman. 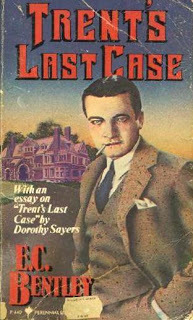 Subtitled ‘Raymond Chandler and the Woman He Loved,’ this is the author’s effort to bring Chandler’s wife, Cissy Pascal, out of the shadows. 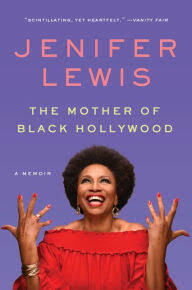 A fascinating read, though it must be said that with regard to her specific goal, Freeman is only partially successful. 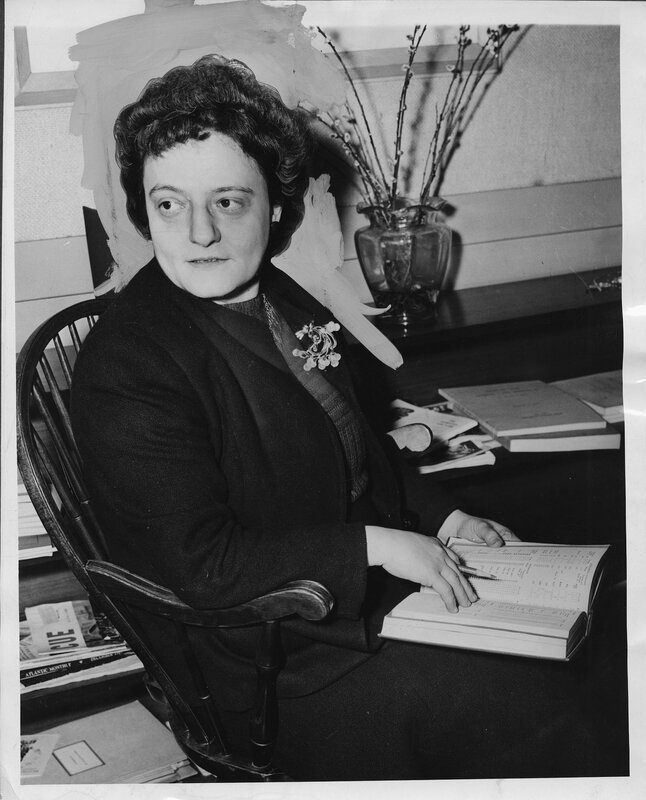 Cissy Pascal Chandler remains, for the most part, a mystery – perhaps, rightly so. Open and Shut and First Degree by David Rosenfelt. 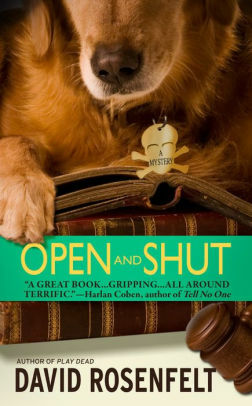 Rosenfelt’s Andy Carpenter mysteries benefit greatly from the presence of his excellent golden retriever, Tara. Also from the self-deprecating humor of Andy himself. 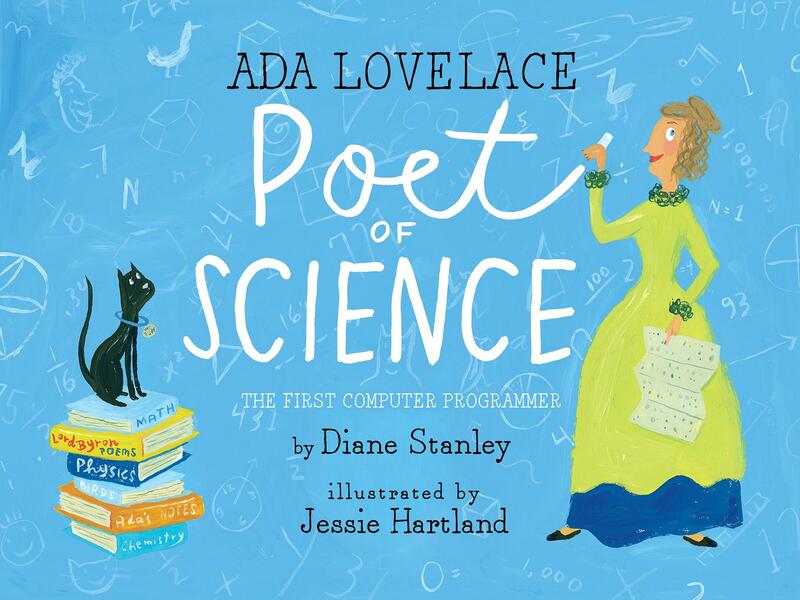 A delight to read, especially when you need something that’s not too heavy. And First Degree is an excellent choice for those enamored of legal thrillers. Tara gets up on the couch and assumes her favorite position, lying on her side with her head resting just above my knee. It virtually forces me to pet her every time I reach for my beer, which works for me as well as her. If there’s a better dog on this planet, if there’s a better living creature on this planet, then this is a great planet, and that must be one amazing living creature. Bone on Bone by Julia Keller. Follow-up to the brilliant and deeply moving Fast Falls the Night. *Land of Burning Heat by Judith Van Gieson. 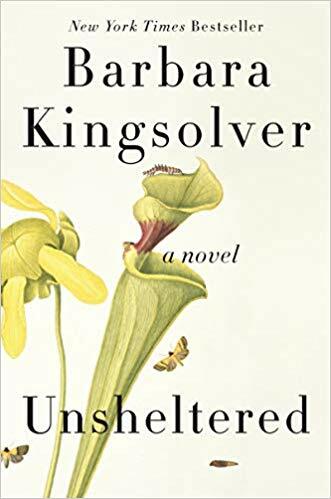 This novel got me yearning for New Mexico all over again…. The front of her house faced east toward the Sandia Mountains which provided a backdrop for the reflection of the setting sun and the rising of the moon, but her backyard faced the long view across the city over the Rio Grande Bosque into the vastness of the West Mesa. The weather usually came from the west and tonight thunderheads were building over Cabezon Peak. 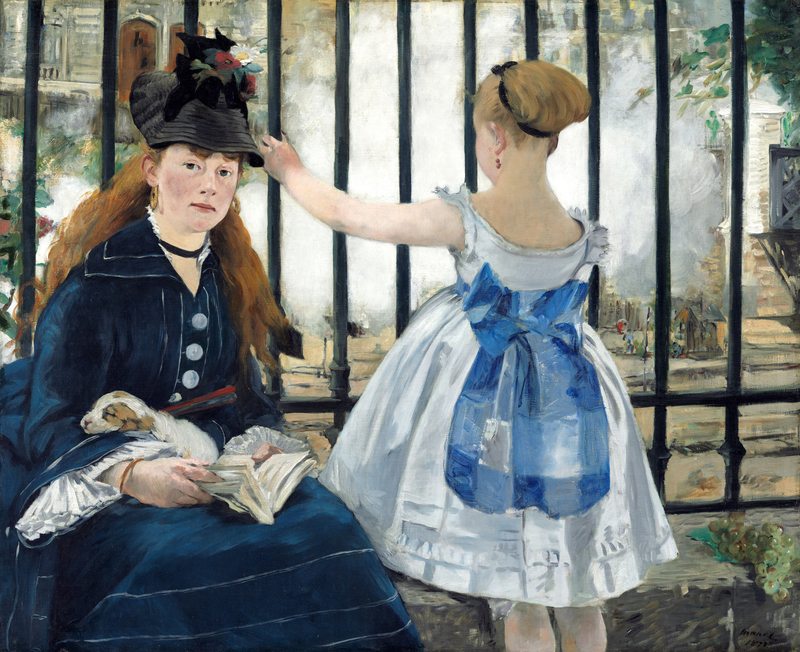 Claire couldn’t remember exactly when it had rained last, but it had been months. The ground, the people, the vegetation, even the air itself held its breath longing for rain. The prickly pear and ocotillo in the foothills were parched and layered with dust. She had the sensation she had every summer that she was waiting for something she believed would come but feared might not. The sky seemed promising tonight. The clouds were darkening and the wind was picking up. 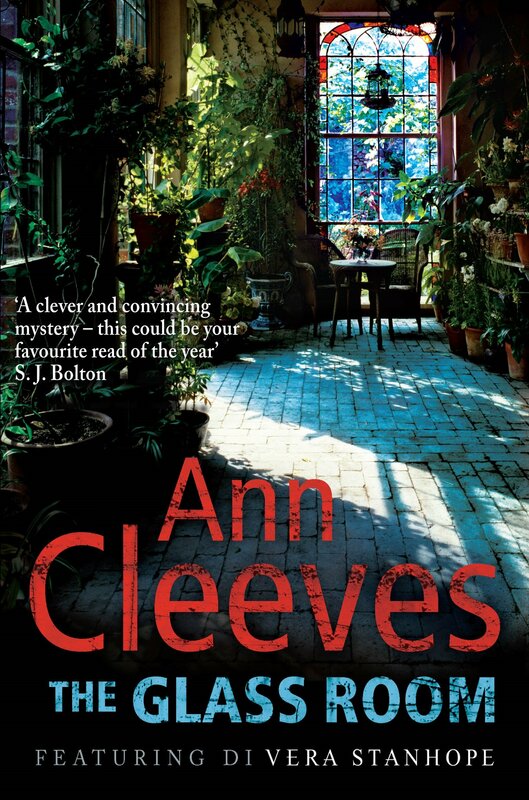 Harbor Street and The Glass Room and by Ann Cleeves. Do I like this author? Gosh yes. And the tv series featuring Brenda Blethyn is terrific. *Bruno, Chief of Police by Martin Walker, in which I finally get around to reading the first entry in one of my favorite series. 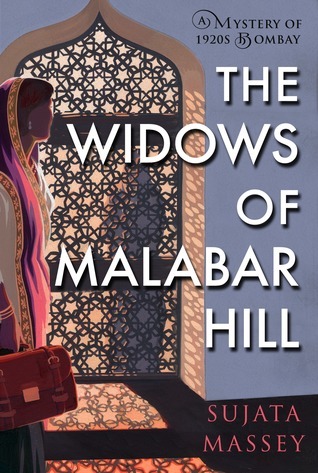 Walker hit the ground running as far as I”m concerned; this book was a delight. 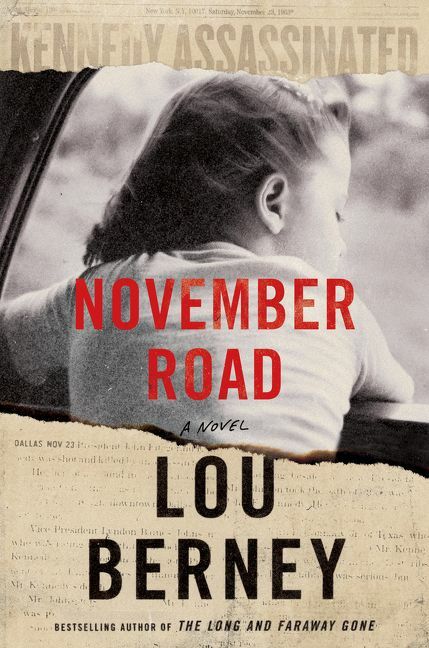 November Road by Lou Berney. Brilliant! 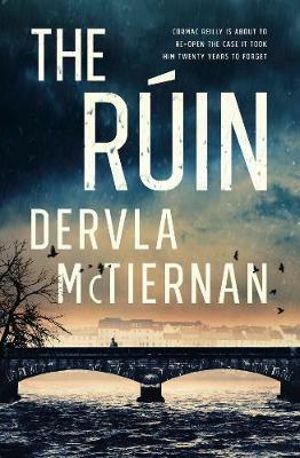 The Ruin by Dervla McTiernan. An impressive debut, highly recommended by the most recent Deadly Pleasures Mystery Magazine. 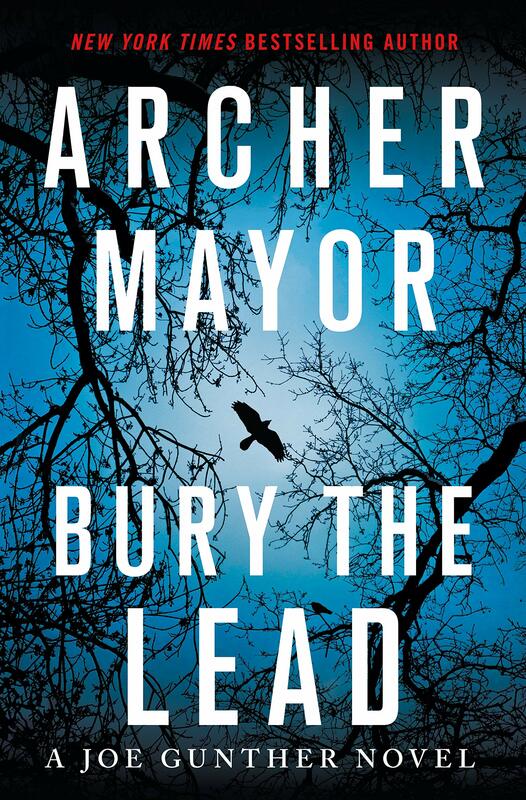 Bury the Lead by Archer Mayor. Always a pleasure to revisit Joe Gunther, Sammy Martens, the ever irascible Willy Kunkel, Lester Spinney, Beverly Hillstrom, et. al. in Vermont, a venue vividly brought to life by this dependably excellent writer. Bury the Lead is the twenty-ninth book in the Joe Gunther series. I hope Archer Mayor throws himself a big party number thirty arrives! 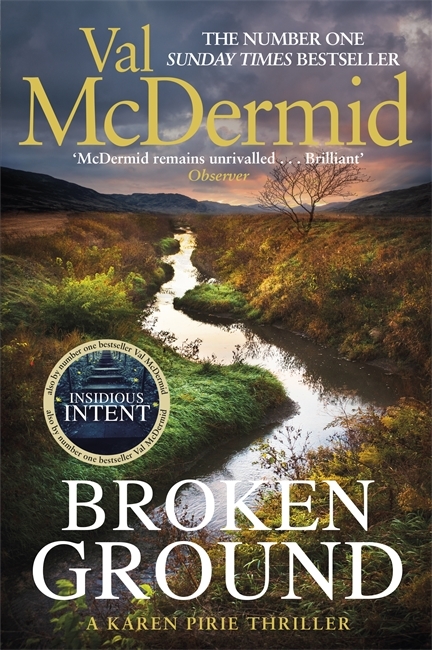 Broken Ground by Val McDermid. 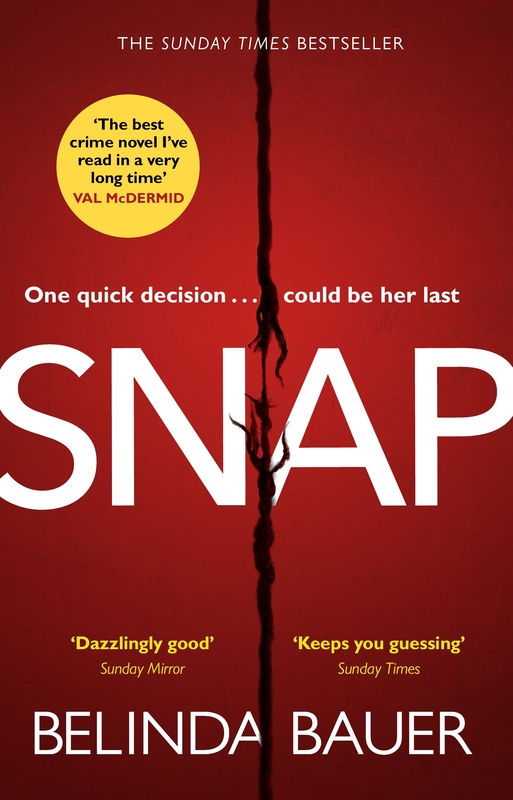 Absolutely loved this novel – perfection in a police procedural! 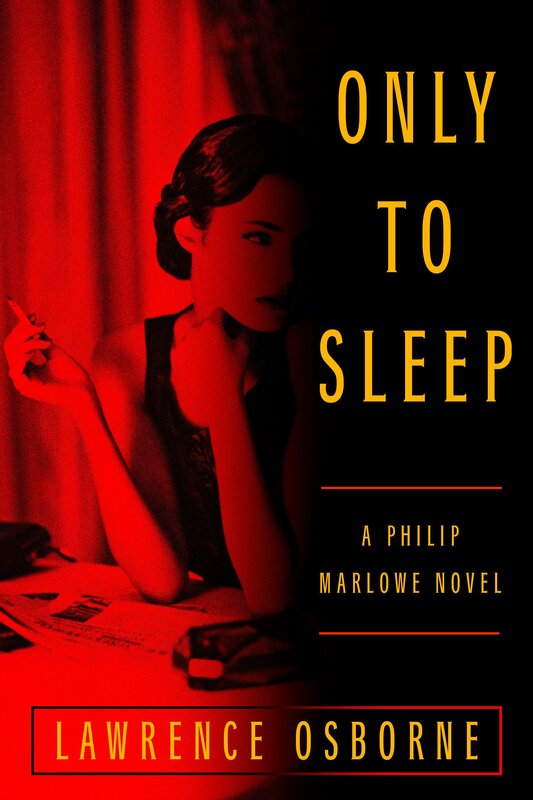 *An Unsuitable Job for a Woman and Sleep No More by P.D. James. This is one of those times when I am grateful to be in a book group. 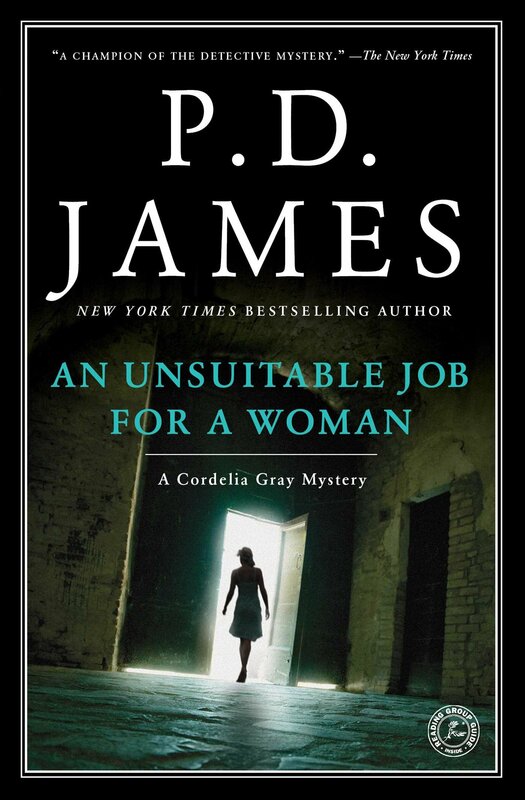 I would never have thought to reread An Unsuitable Job for a Woman had it not turned up on the Usual Suspects schedule. I read Unsuitable Job about ten years after its initial publication in 1977. 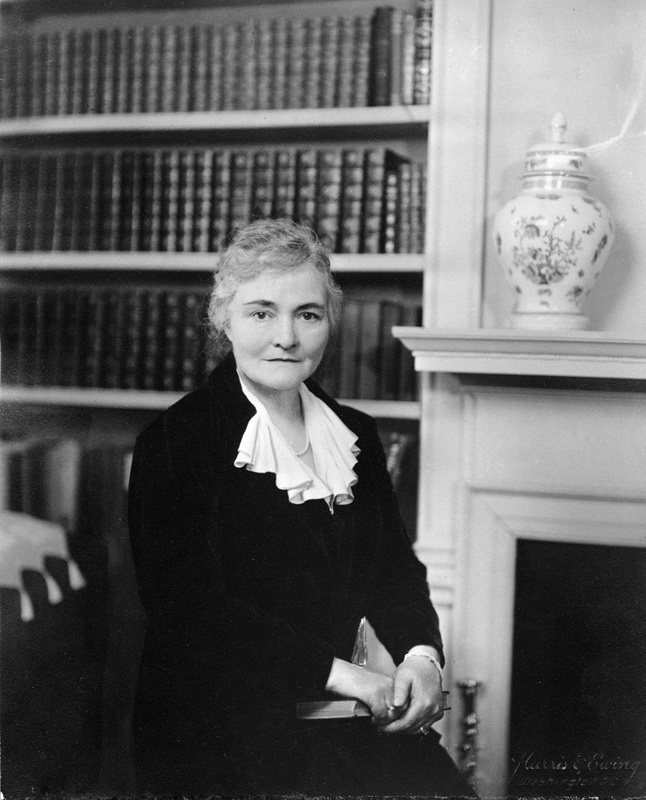 At the time, I had been working at the library for a few short years and was first becoming acquainted with the works of Baroness James. I remember liking the novel a great deal, and especially liking its protagonist Cordelia Gray. Reading it again, as I did just a few months ago, I found it equal parts dated and relevant. But the writing – ah, the writing! 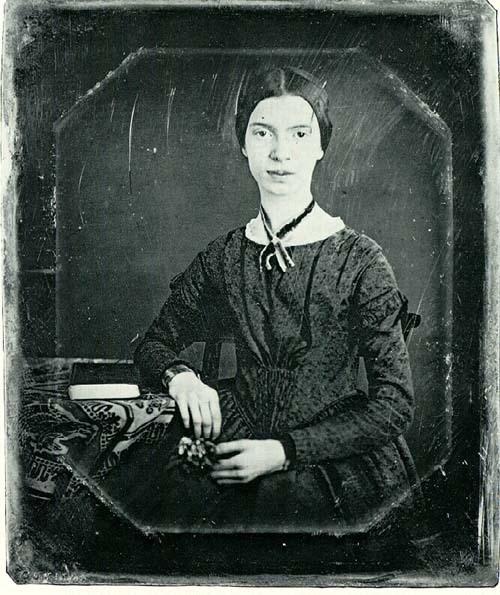 James’s fluency, her wide ranging vocabulary, her shrewd insight into the human heart – these things can never be dated. Sunday afternoon evensong was over and the congregation, who had listened in respectful silence to the singing of responses, psalms and anthem by one of the finest choirs in the world, rose and joined with joyous abandon in the final hymn. Cordelia rose and sang with them. She had seated herself at the end of the row close to the richly carved screen. From here she could see into the chancel. The robes of the choristers gleamed scarlet and white; the candles flickered in patterned rows and high circles of golden light; two tall and slender candles stood each side of the softly illuminated Rubens above t he high altar, seen dimly as a distant smudge of crimson, blue and gold. The blessing was pronounced, the final amen impeccably sung and the choir began to file decorously out of the chancel. This was the first Cordelia Gray novel. It was followed by The Skull Beneath the Skin, which I’ve not read. Then, no more. There was a reason for the abrupt cessation of this series. James explains it in her own words in a Guardian article from 2011 (See paragraph 16). As for the six stories that comprise Sleep No More, they were a welcome chance to revisit once again the work of P.D. James. 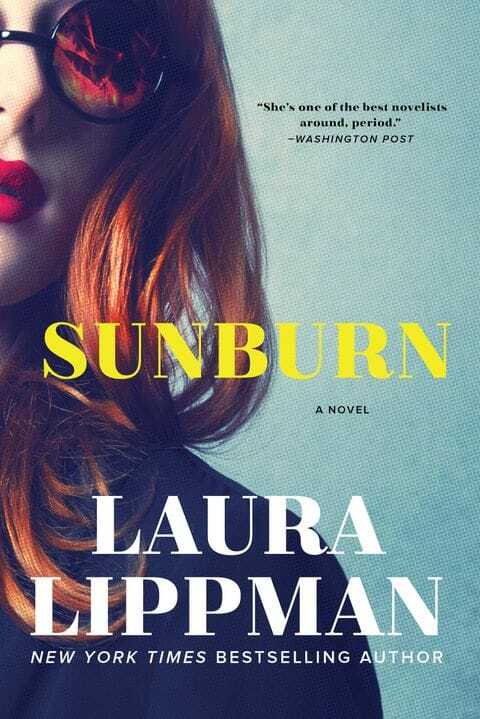 Sunburn by Laura Lippman. 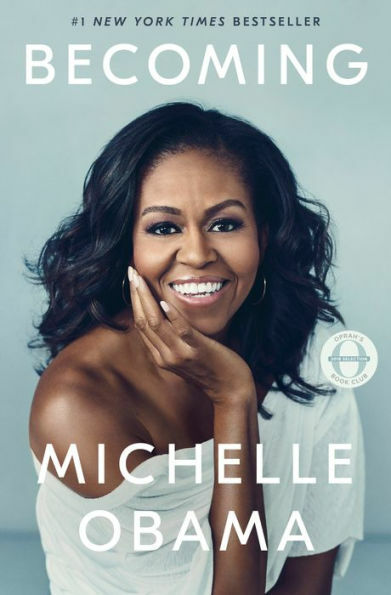 This made numerous Best of 2018 lists; for me, though, it was not her best, though enjoyable nonetheless. It really is impossible for Laura Lippman to be boring! 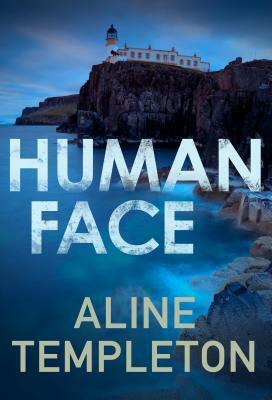 Human Face by Aline Templeton. 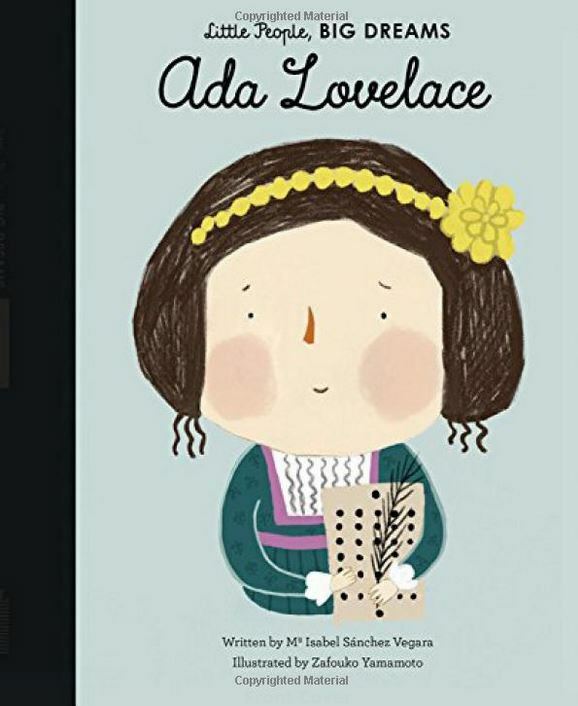 My first by this author, little known in this country. I look forward to reading more. The Word Is Murder by Anthony Horowitz. The creator of Foyle’s War among his other achievements, Horowitz seem to excel at anything and everything he attempts in the fields of fiction and television. The Sentence Is Death, a sequel to The Word Is Murder, is due out this June. Once again, Horowitz himself combines forces with the cunning Daniel Hawthorne – Yes! Shadow Play by Cynthia Harrod-Eagles. I faithfully read each new book in this series and am always sorry when I reach the end. 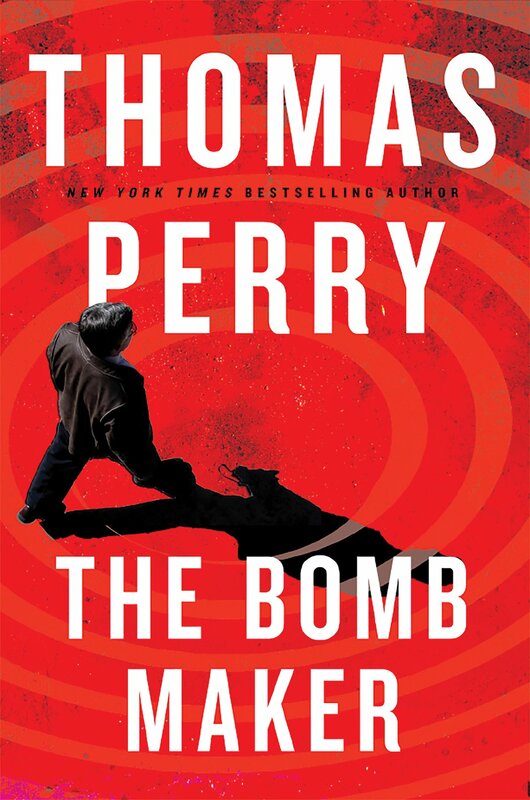 The Bomb Maker by Thomas Perry. Books like this give thrillers a good name. 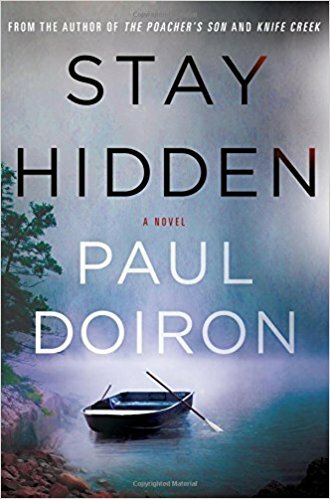 Flawless structure, edge-of-the-seat suspense, intriguing characters, a careening plot that makes the reader hold on for dear life – what’s not to love? 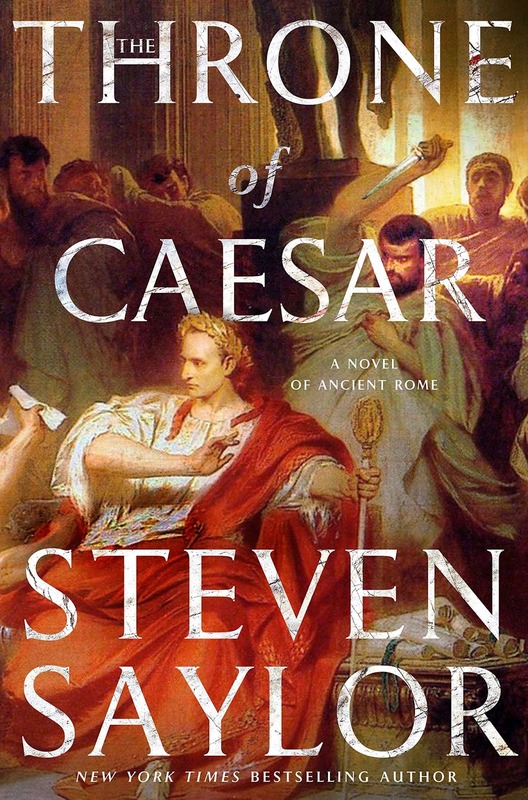 The Throne of Caesar by Steven Saylor. What a pleasure it is to see a writer you’ve followed from his first book (Roman Blood, ) proceed from strength to strength in the way that Steven Saylor has done with this series. Sleeping in the Ground by Peter Robinson. Marge and I have both been with this writer from the start of the Alan Banks series. A Conspiracy of Faith by Jussi Adler-Olsen. 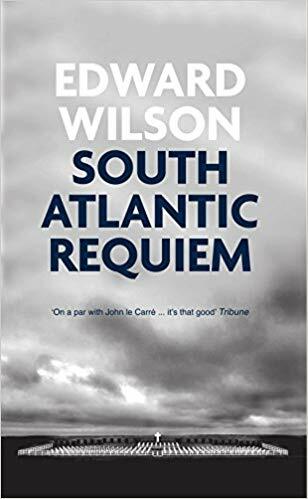 A gripping and powerful novel, with one of the best endings I’ve encountered in recent years (and that’s saying something – that’s where a lot of crime fiction falls down, in my view). 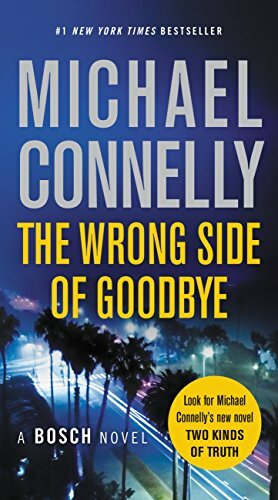 The Wrong Side of Goodbye by Michael Connelly. This writer of police procedurals just gets better and better with each new book. Connelly is a superb storyteller. His plots have a propulsive drive, occasionally lightened by comic relief. 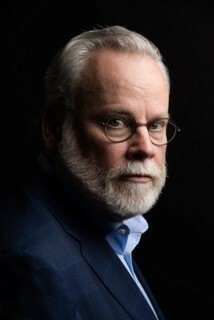 Harry Bosch is kept grounded and humane by his fierce caring for daghter Maddie, now in college. I highly recommend the audio versions narrated by Titus Welliver, who portrays Bosch in the tv version, available via Amazon Streaming. Accident on the A35 by Graeme Macrae Burnet. An oddly downbeat, extremely powerful procedural set in the east of France. 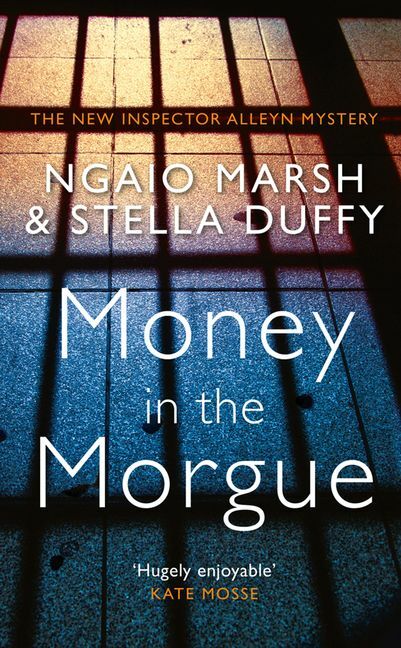 Money in the Morgue, a novel begun by Ngaio Marsh and finished by Stella Duffy. Truth to tell, I was not exactly blown away by this novel, though I’ve always held the work of Dame Ngaio in high esteem. 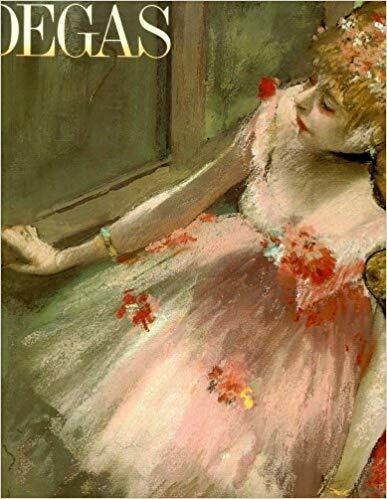 My favorites by her are A Clutch of Constables, The Nursing Home Murder, and most especially Death in a White Tie, which features that rare commodity, a sympathetic victim, in addition to a sparkling depiction of the London ‘season’ and topped off by a compelling love story. 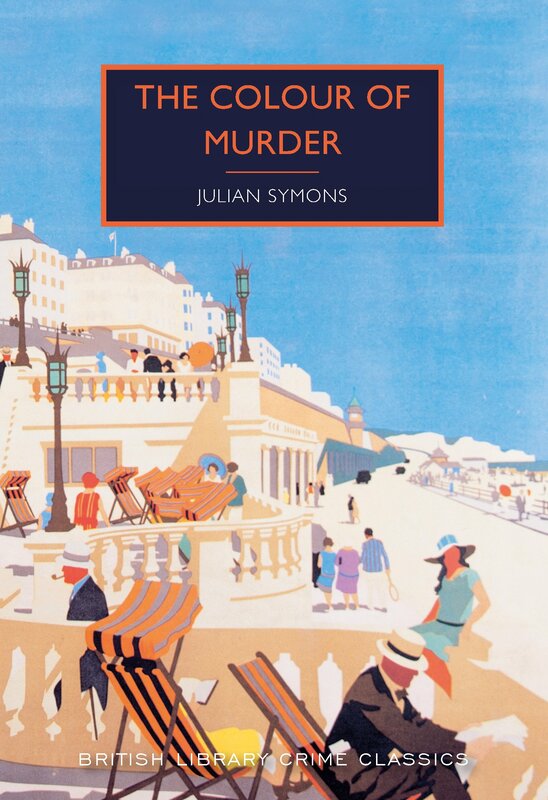 The Colour of Murder by Julian Symons. 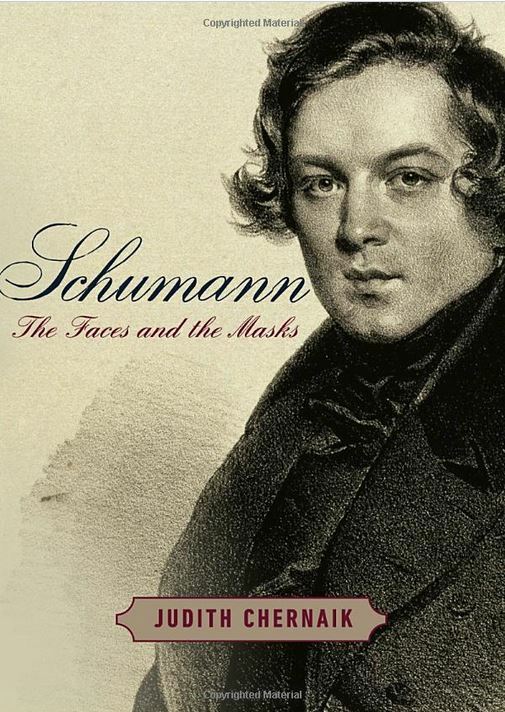 Symons was still very much alive and writing when I went to work at the library in 1982. 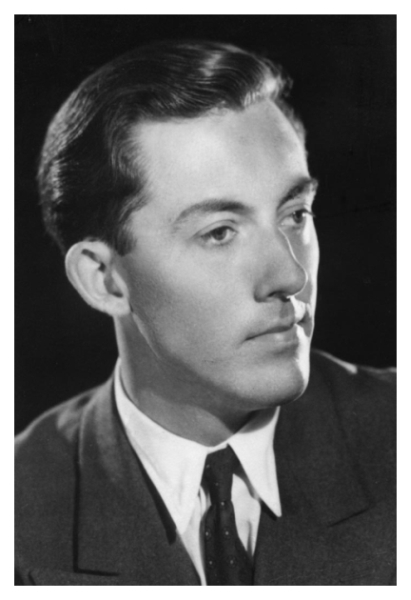 (He died in 1994 at the age of 82.) 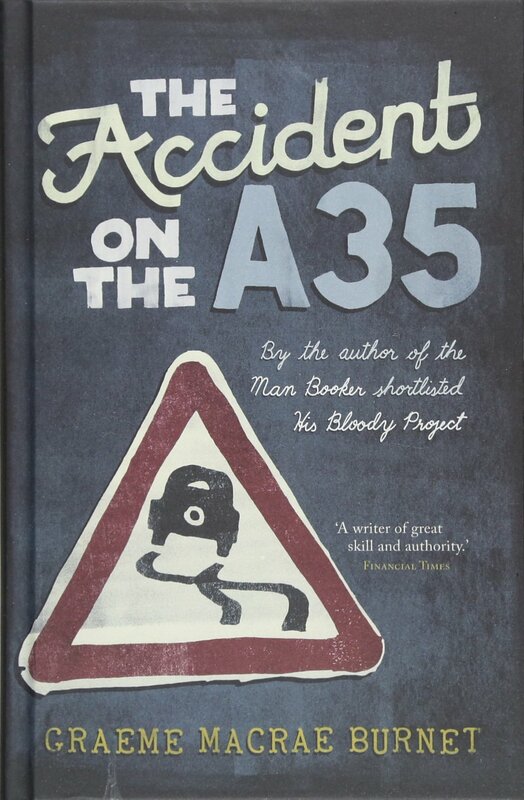 I remember reading and enjoying The Detling Murders, The Tigers of Subtopia, and The Blackheath Poisonings. These works were especially welcome, since at the time, I was just starting to learn about crime fiction. 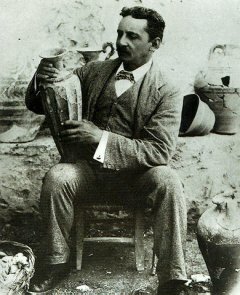 The prolific Mr. Symons wrote not only mysteries but also criticism, other nonfiction, and poetry. 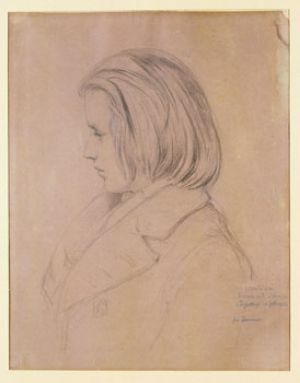 Trent’s Last Case by E.C. Bentley. I’d read this once before and not like it all that much. But this book makes so many all time best lists that I decided to give it another try. I liked it much better this time. 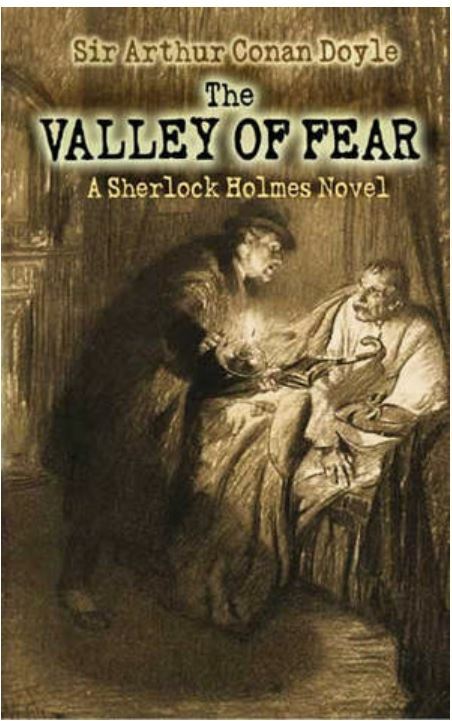 The Valley of Fear by Sir Arthur Conan Doyle A most pleasant surprise. Much of the second half this short work takes place in the American West. The narrative was lively and engaging. I liked it a lot.